Members of the Voices of Unity Choir in concert, presenting their special style of what they call a "soulful artform." Choir in action at a Sacred Choral Music Festival. Choir gathered at the opening Ceremony of Musica Eterna a Roma at Basilica di S. Agostino, Rome, Italy. Choir members attending the Dr. Raymond Wise Workshop. Marshall White sees the Voices of Unity as a "life preparing, transformational experience for young people." 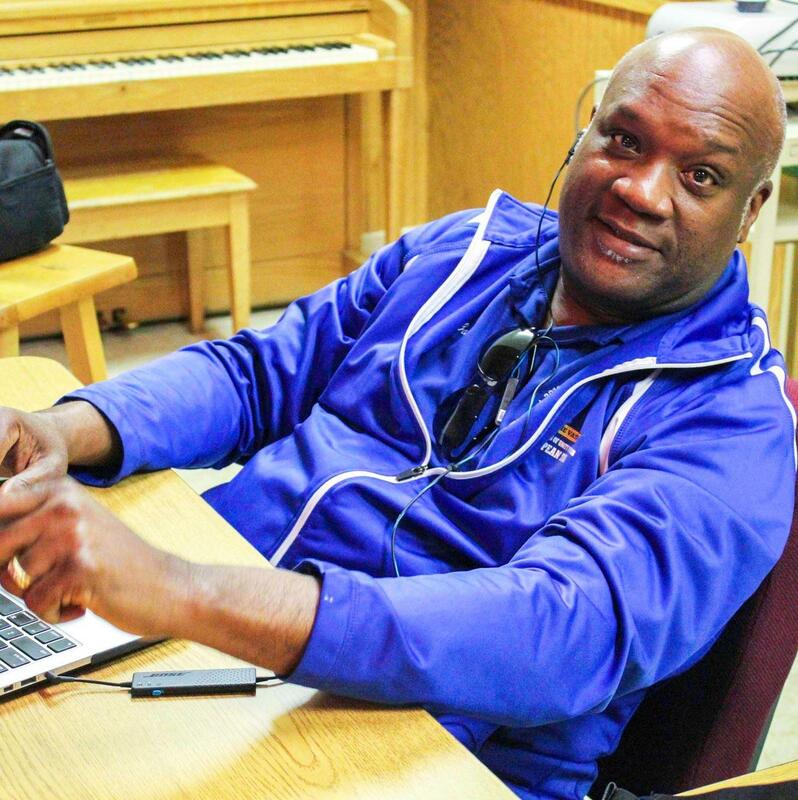 Unity Performing Arts Foundation, and its Voices of Unity Youth Choir have been shaping the lives of area youngsters since July of 2000, thanks to a dream made reality by project founder, and choir director, Marshall White. Now the dream is growing in size and scope, with a new Unity Performing Arts Foundation facility about to open at Fort Wayne's Ivy Tech. Earlier this week, WBOI's Julia Meek invited White into the studio to discuss how the foundation's long term plan was developed, how its impact in the community is growing, and what it means to him to empower its young members through music. Listen to an extended version of Julia Meek's on-air interview with Marshall White, and "Love You Forever," performed by the Voices of Unity Youth Choir. Voices of Unity Praise Celebration, "Grateful"
For concert and ticket information, visit the Unity Performing Arts Foundation website. This Sunday, community arts advocates Ketu Oladuwa and Michael Patterson are bringing a new kind of experience to the Fort Wayne music scene. That's launch night for their "Jazz Talk Live: Big Apple Jazz Club Series," and its new, community-friendly home is Wunderkammer Company, on the city's south side. Two years ago, Fort Wayne resident, Zoe Martin, shared a dream she had with her friend and neighbor, Jason Davis. Now that dream has come true, in the form of a creative grassroots charity called Dreamcatchers. Every month, the news team at 89.1 WBOI covers events in northeast Indiana and around the state. This week on WBOI Presents, we are taking a look back 2017. According to Susan Mendenhall, president of Arts United, more residents are coming out to arts and cultural events than ever before, and Fort Wayne is claiming its place as a national destination for such activity.